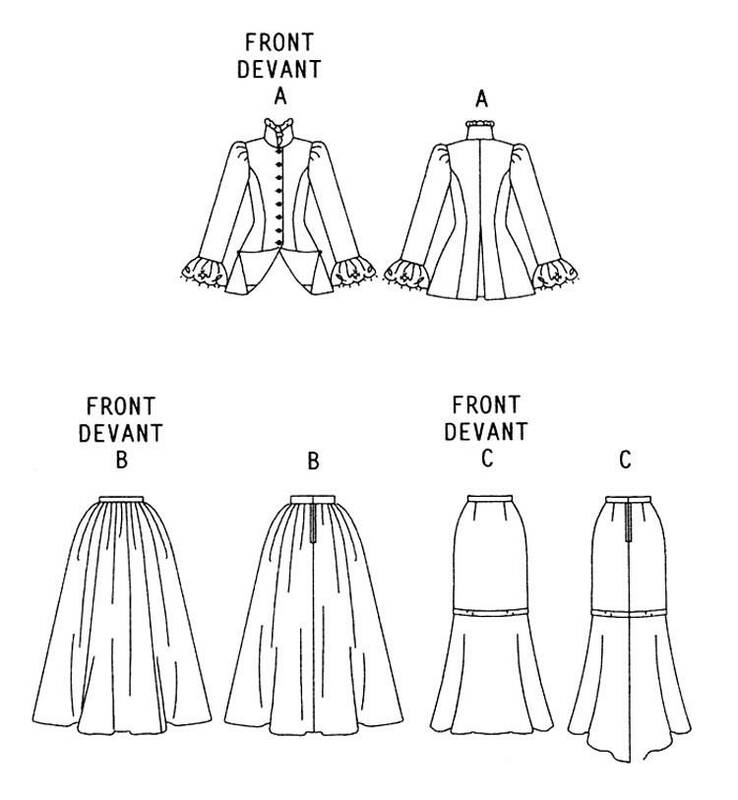 Jacket A: lined to edge with contrast lining, has princess seams, back pleat underlay, gathered sleeves, stand up collar and purchased trim. Skirt B: back zipper, full gathers and waistband. 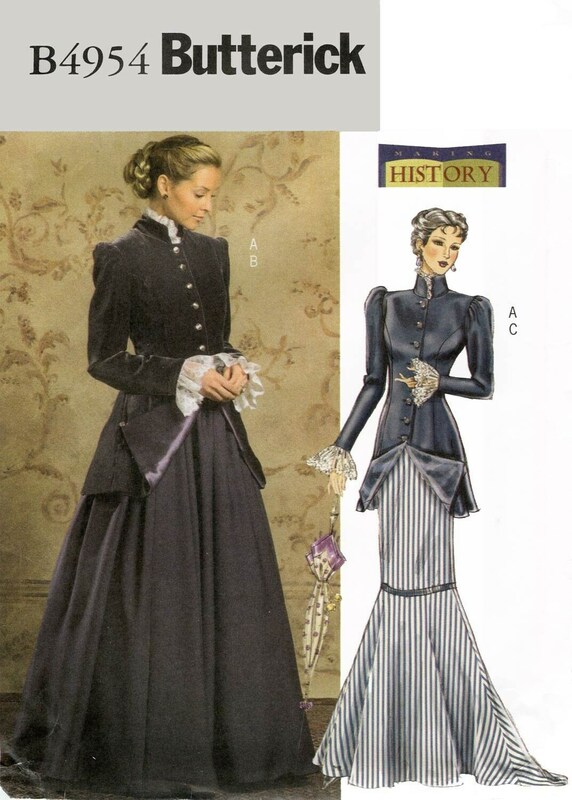 Skirt C: front and back darts, back zipper, waistband, flare bottom with a slight train and ribbon trim.